Tim Scott is an exceptionally talented guitarist who invented something new when he started mixing his stunning guitar skills with electronic music. This opened the door to working with the legendary Radio 1 DJ, Judge Jules. They soon collaborated producing the track 'Puesta Del Sol'. Blending Tim's fiery Flamenco guitar with Jules' signature Techno beats. Brandishing his signature sparkly-pink laser guitar, Tim was flown out to Ibiza to play live on two consecutive Radio 1 weekends. His ultra-funky Latin-Jazz, making a welcome addition to Jules' beats. Inspired by working in Ibiza, it was then, that the 'Guitar Mashing' concept was born. Guitar Techniques (magazine) wrote "It's not often we declare a guitar album to be outstanding, yet Tim Scott has come up with something that's both highly original and genuinely refreshing". Although Tim struggles with severe dyslexia he describes it as a true gift “If I weren’t dyslexic I would not create in such a unique way.” While Tim may not write his ideas down he has no trouble finding the right notes by ear. He records one part at a time being able to hear the completed arrangement in his head. "For a man who’s been frequently compared to some of history’s greatest guitarists, Tim Scott’s forward-thinking attitude towards dance music is not only commendable, but has assisted in producing some delectably unique music. 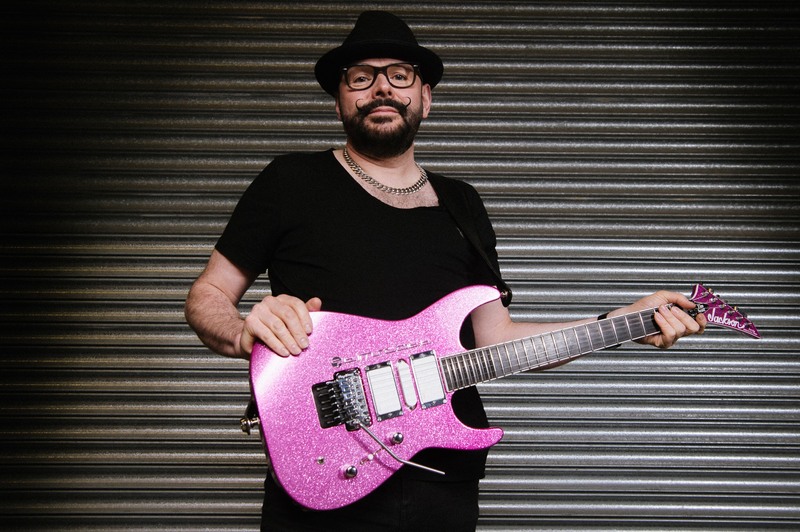 Being compared to the likes of Joe Satriani, Jeff Beck, Steve Vai and Steve Lukathar may have prompted a less ambitious musician to perpetually play it safe, something which Scott has absolutely failed to do” by Zavvi. Tim's appetite for creating new genres, knows no boundaries. As he experiments with turning his virtuoso guitar mashing, meets electronica, into an art form.